Bellhaus Entertainment is a creative communication and entertainment company that specializes in artist management and development; record producing and publishing; and live event management and production. Jeffrey Tan, the company's C.E.O., conceived the company some in 2005 with Philippine Music Industry icon Bella Tan, his late mother and the former head of a major Filipino record label. Jeff and Bella envisioned a company that would primarily offer Filipino artists an open and creative space to pursue high-quality artistic endeavors that would service not only the Philippines but the global market as well. JC Saur is working for them at that time and invited me to just look around and talk about some business stuff and also met the company's CEO Mr. Jeffrey Tan. 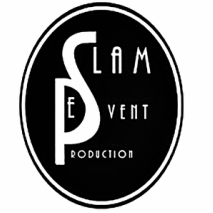 Since SLAM is also catered to companies needing singers, bands, performers, hosts for their events such as Christmas its very crucial for us to know what our clients are looking for. They have a lot of major talents such as sassy girls, the juans and many more. We also attended their Christmas Party which u will see also in our picture about and bonded with the group called The Juans which is a boy band they have insane great voices and mad talent when it comes to guitar playing..
To get updates on what's new!